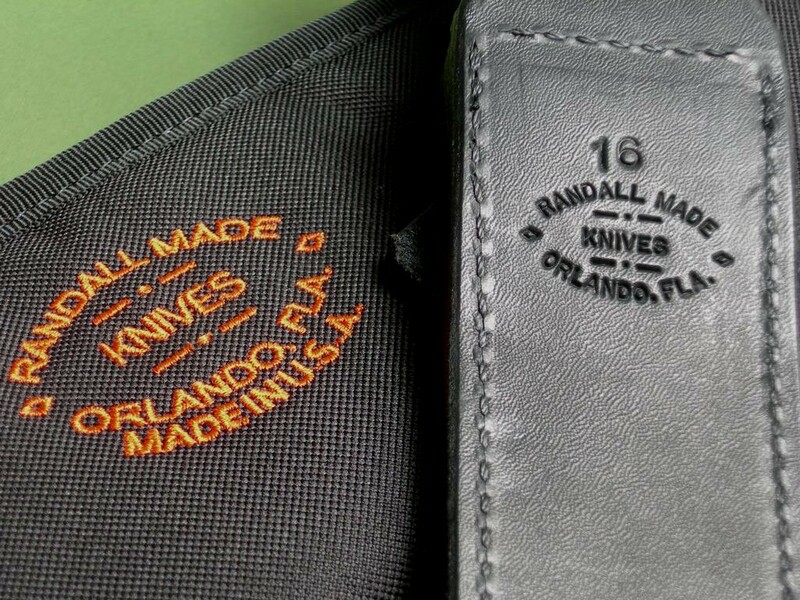 Randall #16 "Diver's Knife" / Great Buy! 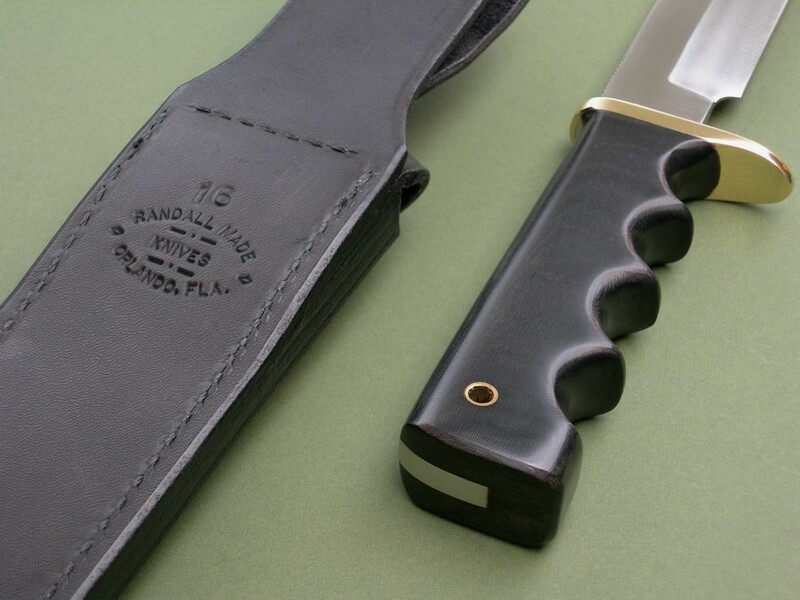 Randall Model 16 "Diver's Knife"
Summary: this is an unused Randall #16 with original edges and fingered black micarta handle, priced to sell as all the lanyards seemed to go AWOL. Everything else is pretty much new, maybe a few very light wipe marks on the brass guard if you're looking hard. 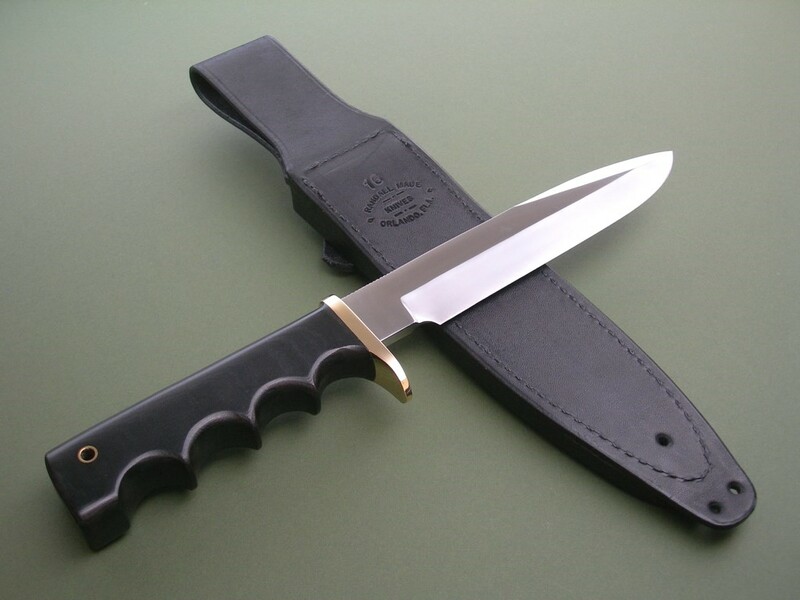 The black Sullivan model C “no hone” sheath is in near mint condition with nothing more than a few light handling marks. 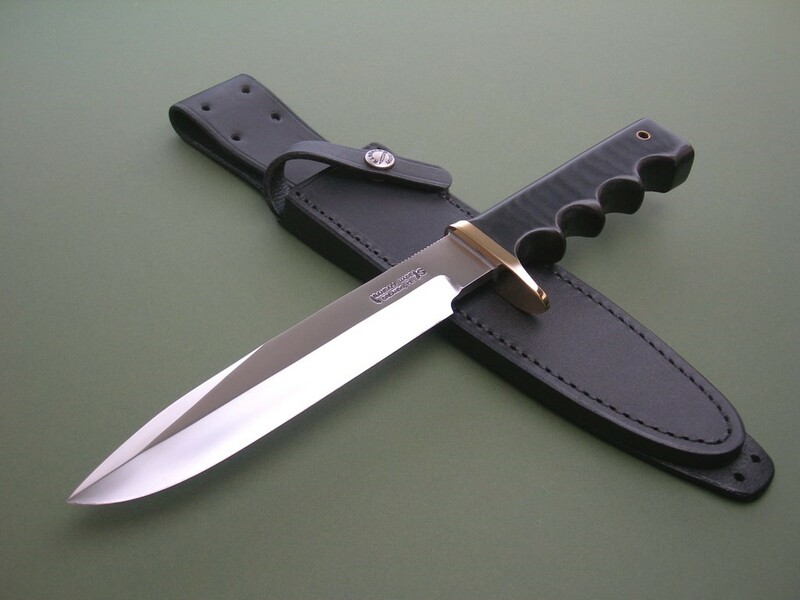 The knife has not been stored inside the sheath, both the throat and keeper strap are clean. Drain hole on the back toe, correctly stamped with the model number above the RMK trademark. 8 photos for review -- as shown, a new embroidered RMK carry case is included. This is a great knife for the money if the missing lanyards aren’t a deal breaker for you, actually a relatively simple fix. (I just don’t have any on hand!) The model 16's are really cool -- great for offshore diving or light survival. 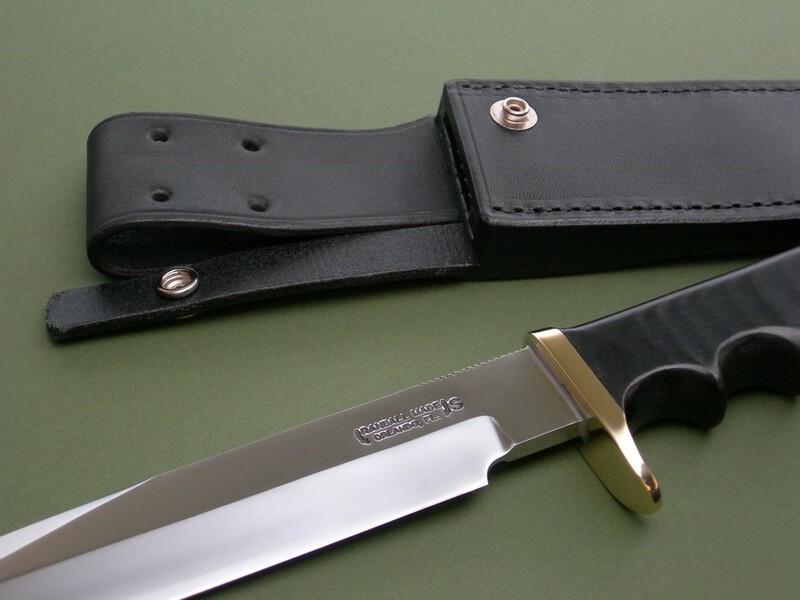 Looks brand new so check it out, extra nice with the black no hone C sheath. Thanks and good luck.